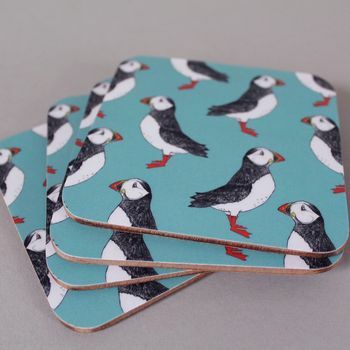 Our green Puffin Drink Coasters are perfect to place your Prosecco glass on and make a great house warming gift. 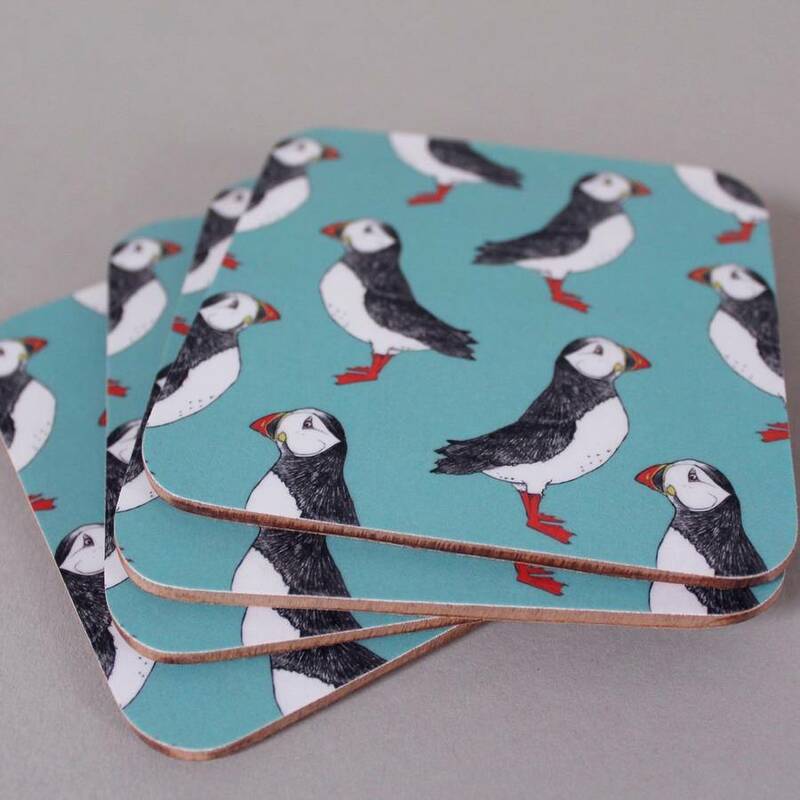 Our Puffin Coaster set makes a lovely new home gift especially if your friend lives near the sea! Our hand drawn Puffin illustration sits proudly on a Sage green background to create our unique coaster set. Hand finished in the UK our cork coaster sets are designed to look great whilst protecting your table from drink spills. Each coaster set contains 4 coasters, bundled together with bakers twine. 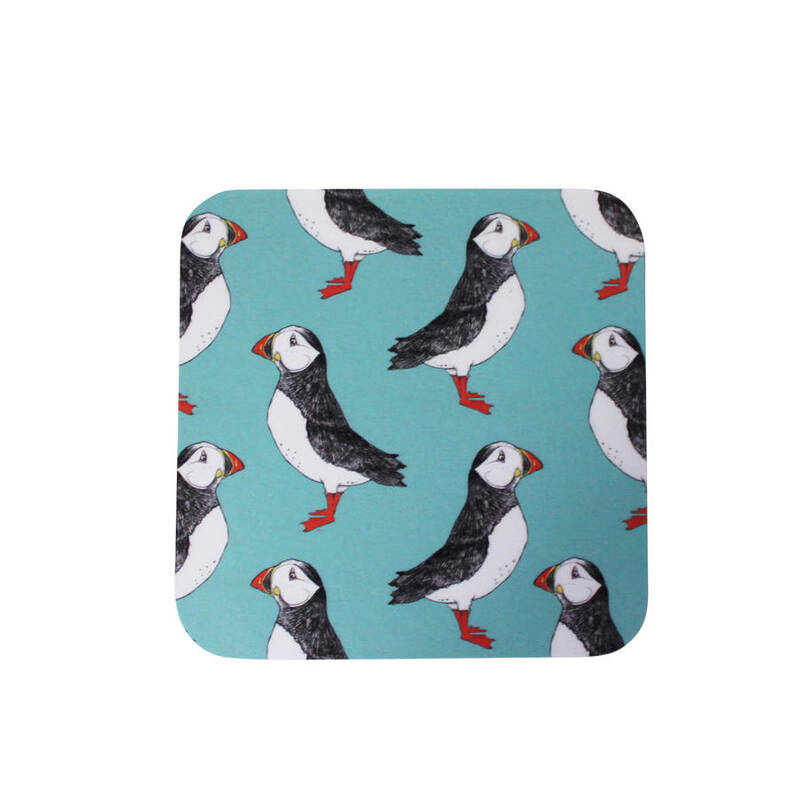 Placemats are also available in our Puffin Billy design, available to purchase from the drop down menu. Complete your gift by adding our Luxury Puffin Gift Wrap (single folded sheet) and a matching card! (Simply select from the drop down menu). Love our Puffin Billy? Find it on many other products all available from our NOTHS store. Handmade in Great Britain from a cork backed eucalyptus hardboard base with a laminated top surface and waxed edges. Stain resistant and wipe clean - we do not recommend full water emersion or being placed in a dishwasher. This product is dispatched to you by martha and hepsie.